Wonderful entertainment that masterfully weaves together two arguments. Boasting beautiful animation, a charming voice cast, laugh-a-minute gags, and a surprisingly thoughtful story, The Lego Movie is colorful fun for all ages. Surprising thoughtful stories have strong thematic structures at their core. They have a purpose, some message they are trying to argue. 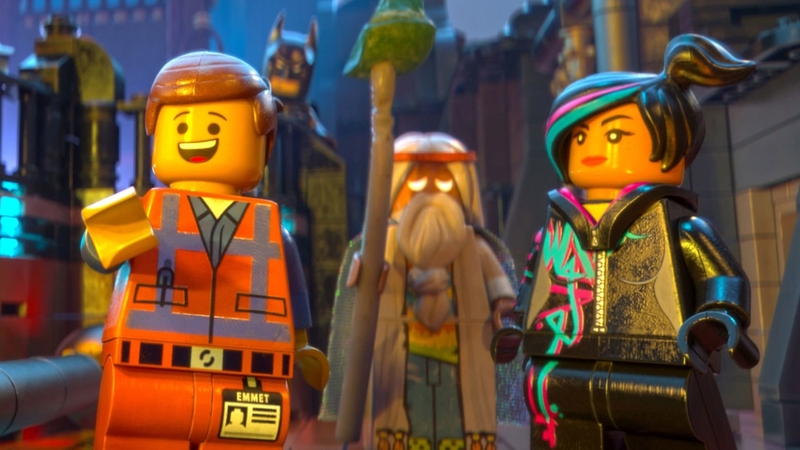 The LEGO Movie continues this trend by resting its “beautiful animation” and “laugh-a-minute gags” atop a strong and well-developed storyform. Balanced and fully argued, this form beneath the laughs accounts for the film’s rampant success—and repeat viewings. The Dramatica theory of story defines a storyform as “the structural and dynamic skeleton of a story.” Most films struggle with completing one storyform.1 Writer/directors Phil Lord and Chris Miller were clever enough to fuse two skeletons together, reinforcing their argument by doubling up. Without giving too much away, the central story and the substory that surrounds it both address concerns of creativity (Overall Story Concern of Conceiving). They both end in success, with one’s resolution leading to the other (Story Outcome of Success). And they both leave the Audience feeling fulfilled emotionally (Story Judgment of Good). Their difference lies in the resolve of the Main Character. In the main story construction worker and Main Character Emmet Brickowski (Chris Pratt) struggles with being a nobody. Everyone knows him, but no one really knows him. in fact, no one even thinks about him (Main Character Throughline of Mind, Main Character Concern of Conscious). Along comes Influence Character Wildstyle (Elizabeth Banks) who focuses on what she can do in the here and now with what pieces are in front of her (Influence Character Concern of Present). Her name suggests an uncomfortability with her lack of status as a Master Builder (Influence Character Throughline of Universe) and frequently ends up labelling her as a “DJ”. Unlike Emmet, people have a name and a classification for Wildstyle, and it impacts him. While Emmet falls for Wildstyle in an instant, it takes her quite a bit longer. Emmet is a horrible builder. Their relationship develops around teaching Emmet to build like the best of them (Relationship Story Throughline of Activity). With all four Throughlines firmly set in place (Main Character, Influence Character, Relationship Story, and Overall Story), the central story begins its argument for out-of-the-box thinking.2 Emmet eventually overcomes the blindness of “Everything is Awesome” and embraces his own unique, if occasionally flawed, potential (Main Character Resolve of Change). This change of perspective allows the substory to play out its take on the argument at hand. The Main Character here remains Steadfast in their Resolve while the Influence Character Changes (vague identities intentional…spoilers!). The emotional home run witnessed from that change cements the Author’s arugment that new ideas are best, and leads back into the successful resolution of the main story. Two storyforms, one argument. One from the perspective of the unaware, the other from the position of unwavering imagination. By offering both in support of one message, the Authors of this film open up their viewpoint to all. No matter where one sits in regards to the power of ideas, they can’t help but become a part of this story and thus become influenced by its stance. On the surface The LEGO Movie excels because of its wit and charm. The structure below takes responsibility for capturing our attention and opening our hearts to its message.